Bring a vintage farmhouse aesthetic to your home with the Set of 2 Tall Storage Bins in Grey by Cambridge Home. 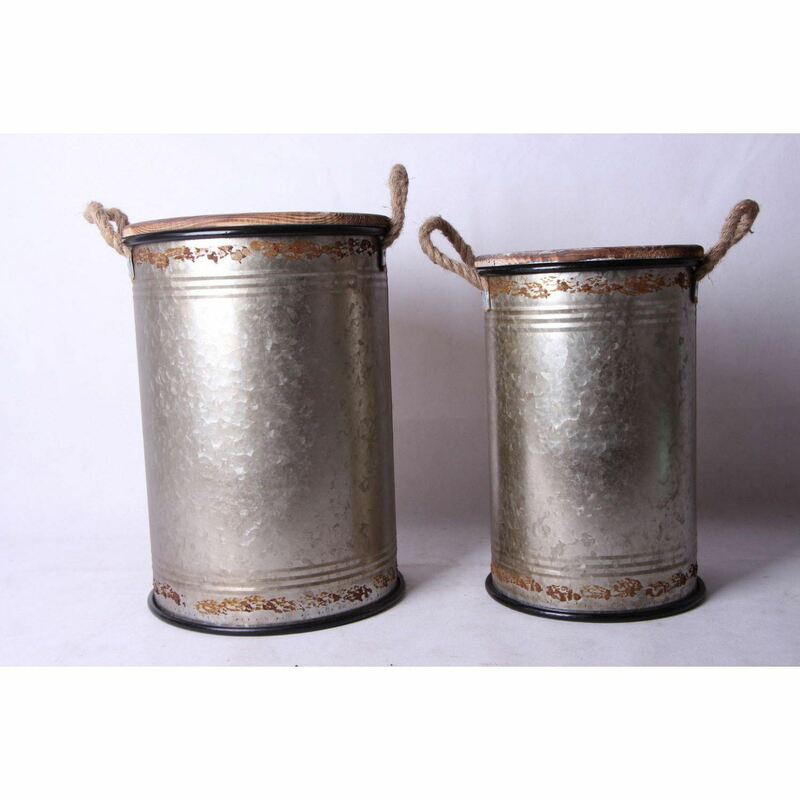 These two metal storage bins feature a distressed, weathered and galvanized metal finish for a timeworn look. A wooden lid with a whitewashed finish allows you to stack the bins and keep the contents out of sight while rope handles allow for easy carrying. Set of 2 Tall Storage Bins in Grey by Cambridge Home. Two bins of different sizes.